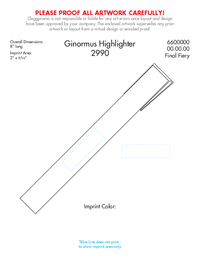 Ginormous Highlighter - Blue (299032) Ginormous Highlighter - While supplies last. string(16) "8" x 15/16" dia." string(29) "2" x 9/16" (2 possible sides)"